For Magic Mondays this week we celebrate all things undead in Z-Land by giving you a whole new rune! 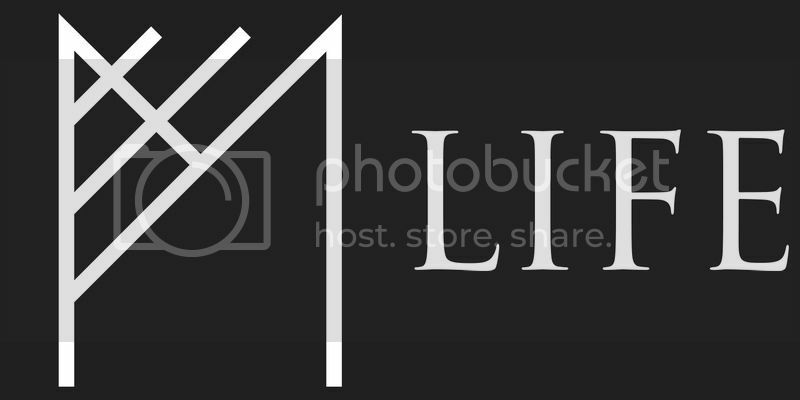 The Life rune does exactly what it’s name means: it distinguishes between that which is alive and that which isn’t. If you simply link Create with Life, it will create a conglomerate of single cells as they are the ancestor of all life, but that isn’t what makes it so interesting. When you modify any Plant or Animal rune (such as Human, Canids, Felids, etc) with Life, you can specify that you only want to target living animals. And as you will see below you can also make exclusionary modifications so that you can specify you only want to target dead things… or in the case of Z-Land, undead things. Notation: Create a Containment Field that excludes Dead Humans if any are present. Description: The most basic of anti-zombie arrays you can make, and also the one that will save your life more times than you will be able to count. The Circle of Life destroys dead (and undead) humans when they enter the array’s field of effect. It’s simple, it’s clean, but it brings a new element to the realm of runic array design and that is the concept of the exclusionary modification. Exclusionary modification works in much the same way as a normal modification. Whatever rune you put as the modifier tells the array what specific sort of material to target. Modify a Blood rune with a Human rune and you tell the array not to target any sort of blood, but to target human blood specifically; modify the Human rune with a Life rune and the array will specifically target living humans only. It all sounds straightforward and very familiar, but what if you don’t want to target living humans or all humans, but specifically dead (or undead) humans? Well there are two ways to do this. First is to make an array that targets all humans, then use that array as a secondary array inside a larger one and exclude living humans from the effect of that secondary array. It does the same thing as the Circle of Life, but you can easily skip all those steps and simply use the Life rune as an exclusionary modification to tell the array to target humans that are not living. As you can see in the array above, to make an exclusionary modification is quite simply. 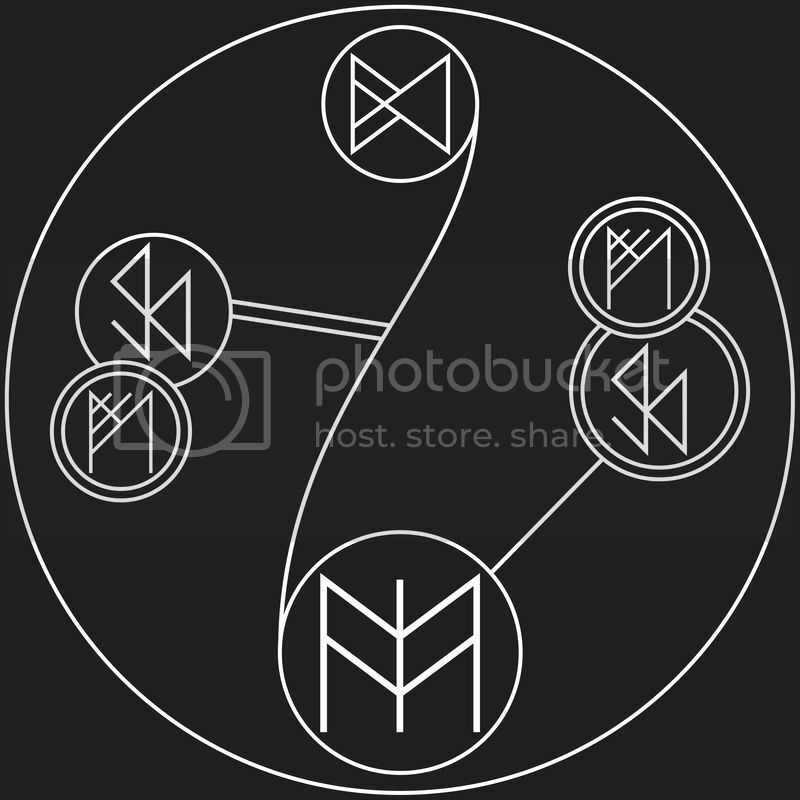 All you do is add an extra ring around the rune to show it is being excluded just like you would do with an “If-Not-Then” statement or an “Exclude” statement that the Circle of Life also has. And there you go, now you have far more flexibility in your runic array designs. Remember you can also use an exclusionary modifications when it comes to speed and size runes to be able to better hone the accuracy of your arrays. We are more than halfway to our Kickstarter funding goal and with your help we can get to 100% in next to no time! 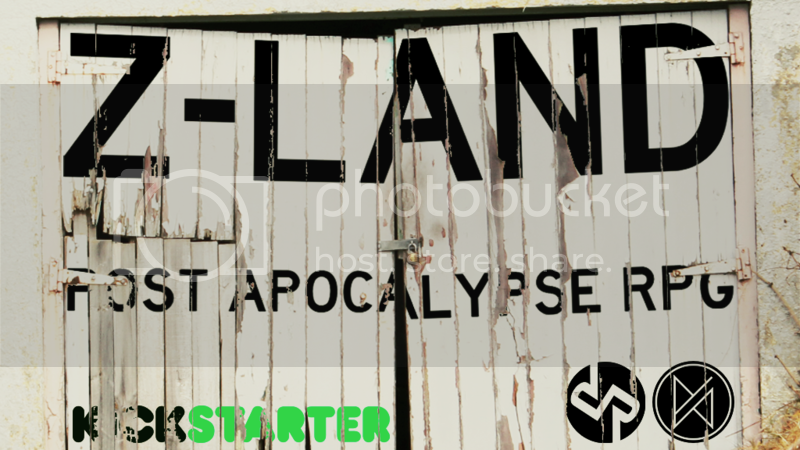 So click on the image above and have a look at the best post-apocalyptic RPG not yet released! Also stay tuned for Wednesday when we’ll show you how you will be able to bring the undead, survival goodness to The Runed Age’s Middelburg and you will be able to bring the magic of the runic arrays to the apocalyptic wastelands of Z-Land. I was pleased when you added the Life Rune, as it makes possible all kinds of wonderful things (like the Grand Army array). I think that it might also be used with a Send/Receive array to separate the Life/Soul from a body and place it in a kind of Soul Jar. Just something that I’m working on at this time. It occurs to me that you do not have an Word to associate with Life for an Incantation. You are entirely correct. That is something we will need to fix. I have also noticed that in “Rules of Magic” the Incantation for Mercury rune on pg. 13 is “Kwikstahl” and that same Incantation is used for the Wood rune on pg. 14.